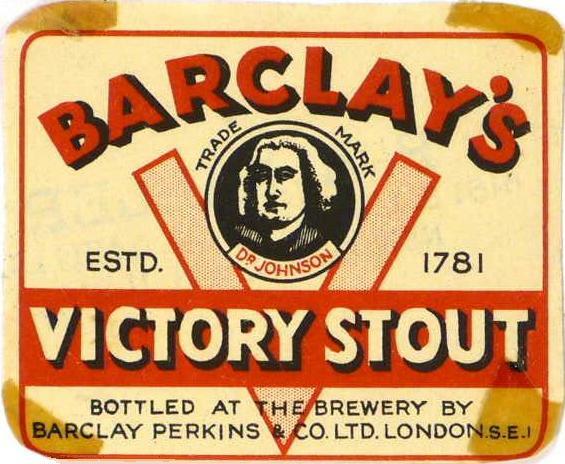 1947 wasn’t a great year for British brewing. Gravities were still falling, despite the war being over. Though, with all dark malts it probably drank heavier than it really was. The grist is anything but simple, with five different grains. I’m slightly disturbed by the low percentage of base malt, not much more than a third of the grist. In the original, it’s three-quarters SA malt, a quarter mild malt. As I doubt you’ll be able to buy SA malt, I’ve specified all mild malt. It’s probably about the closest equivalent. The hops were all from Kent, Mid-Kent Fuggles (1946), East Kent Tolhursts (1946), Mid-Kent BG (1946) and Kent Fuggles (1945). All pretty fresh then, leaving quite a bitter beer. All that roast barley would have made it taste even more bitter. I’m really intrigued as to how this beer would taste. Loads of dark malt, quite heavily hopped, but with quite a lot of residual sugar, too. Weak and bitter. Probably how a lot of Britons were feeling in 1947. 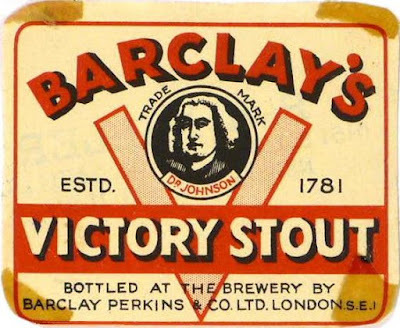 Victory Stout, a weakish, Government-rationed brew supplied to a war-weary and impoverished nation, sounds like something Winston Smith might have drunk in George Orwell's Nineteen Eighty-Four. Bit surprised to see Tolhursts still being grown at this late stage, wouldn't have been long until verticilium wiped them out. They don't contribute much by way of flavour though.